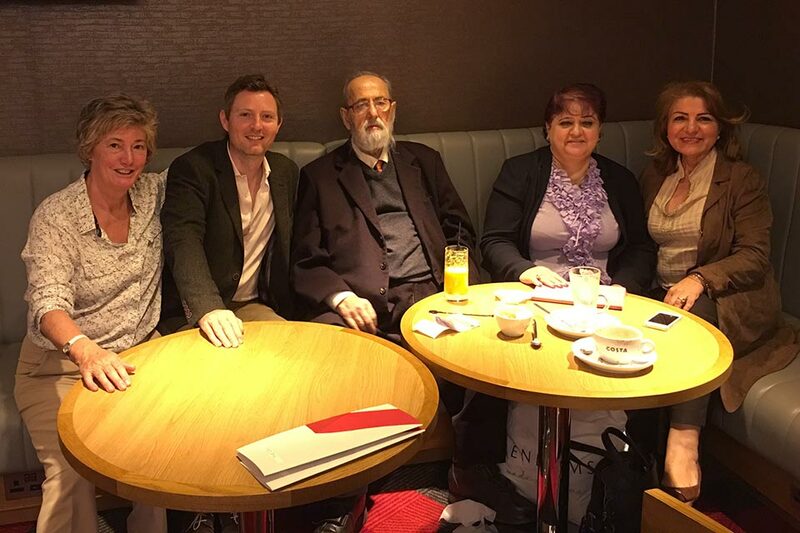 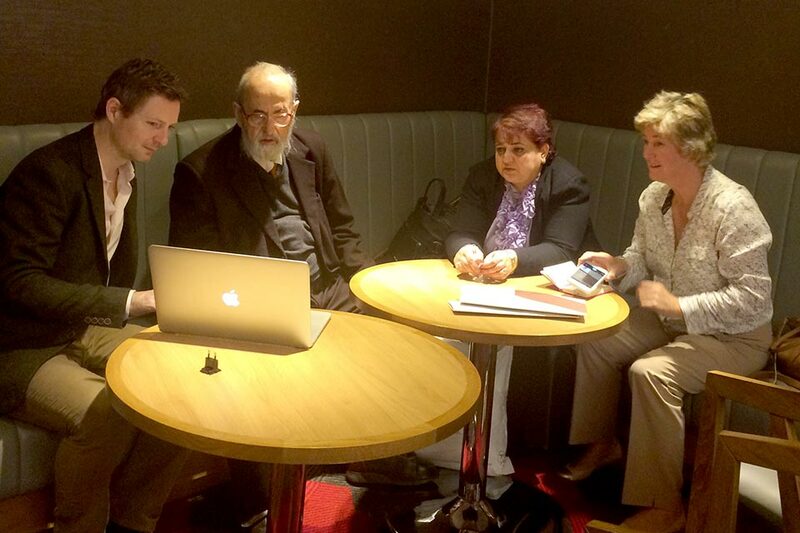 Gulan trustee Sarah Panizzo, Gulan’s Creative Director Richard Wilding and Artistic Director Della Murad met HH Prince Tahseen Said Beg, worldwide leader of the Yezidi people, during his recent visit to London. 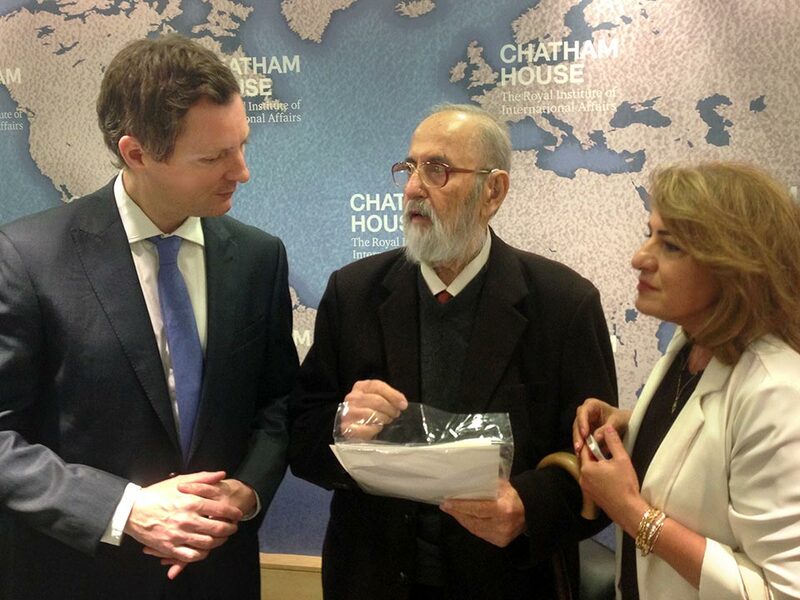 On 21st September, Prince Tahseen spoke at Chatham House about the persecution endured by the Yezidis, his hopes and fears for the future of the Yezidi people and other minorities in Iraq. 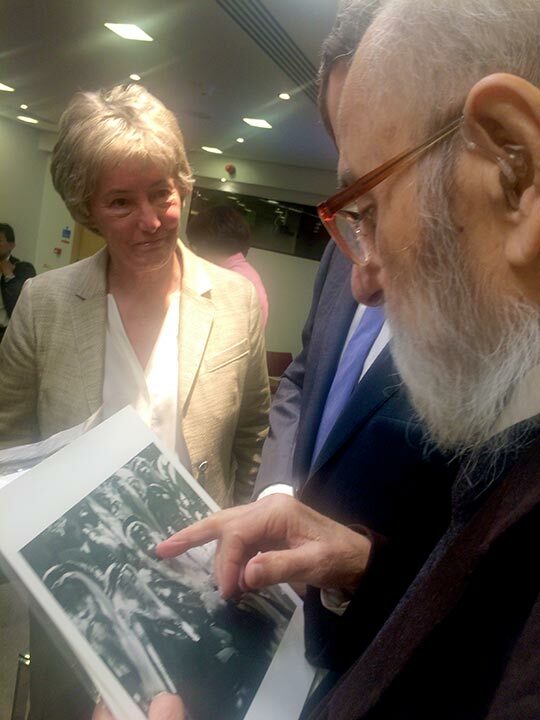 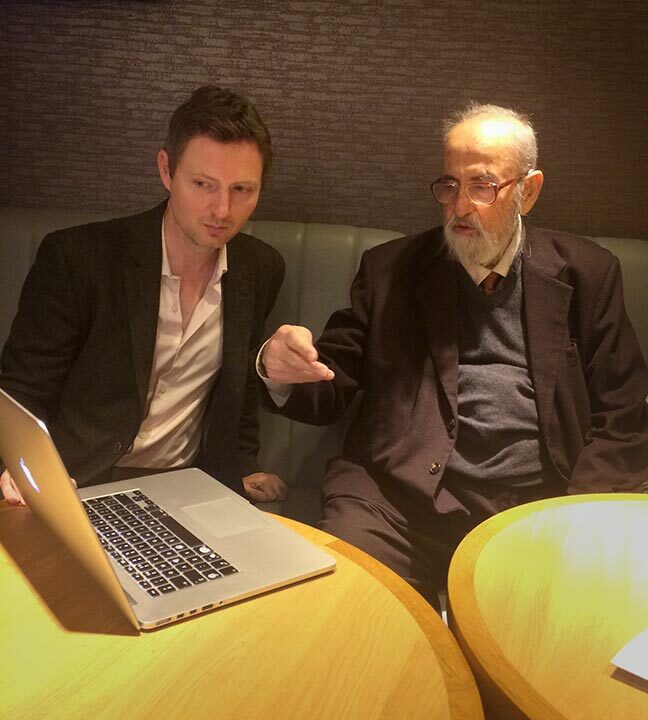 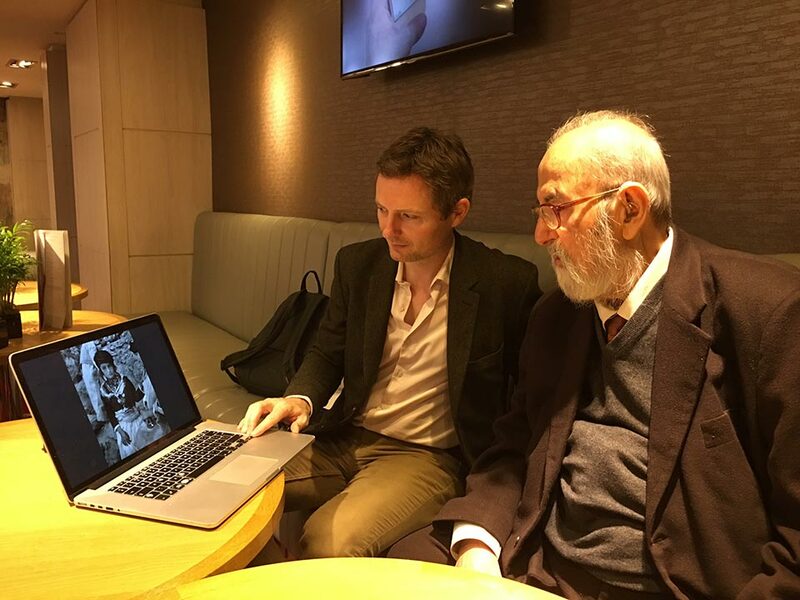 In a subsequent meeting with Gulan on 24th September, Richard Wilding showed Prince Tahseen his photographs of the Yezidi shrines at Lalish, as well as historical photographs of the Yezidi people taken by British photographer Anthony Kersting in the 1940s. 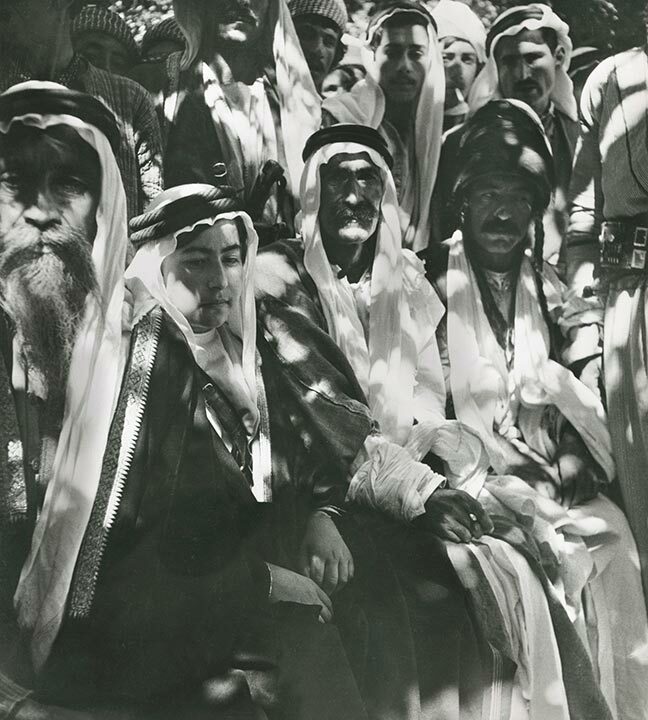 Richard showed him a print of one of these which pictured Prince Tahseen as a young boy of eleven, shortly after the death of his father, together with other Yezidi leaders of the time, Sheikh Khalaf Hasskani, Matto Alyass Hababa and Berjes Amrook Hababa.